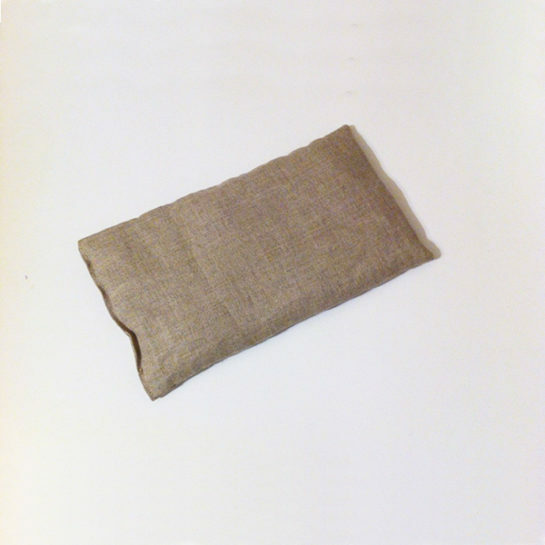 A specially profiled, buckwheat hulls cervical neck pillow filled with purified, highest quality buckwheat hulls with 100% cotton pillow covers. The shape and materials used can greatly improve the quality of your sleep and general health. It’s one of the best pillows for neck pain. The Cervical Neck Pillow has a Health Quality Certificate issued by the National Institute of Hygiene in Warsaw, Poland. 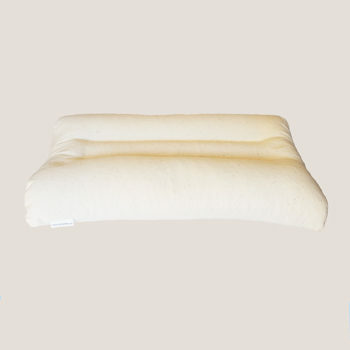 The organic buckwheat hulls cervical neck pillow is filled with purified, dust-free, certified organic buckwheat hulls. 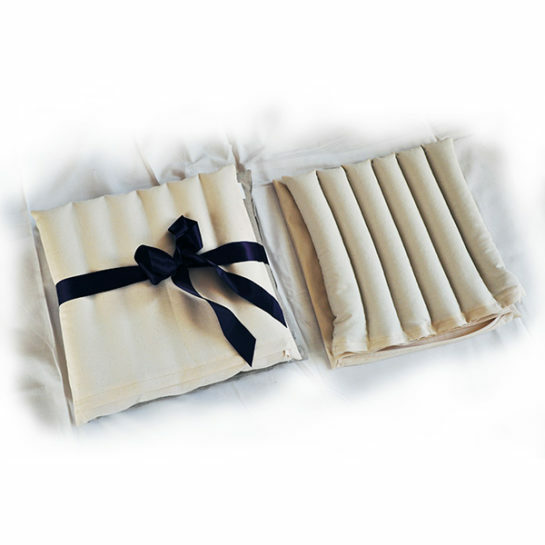 The pillow cover is made of 100% undyed and unbleached high quality, GOTS certified, organic cotton. 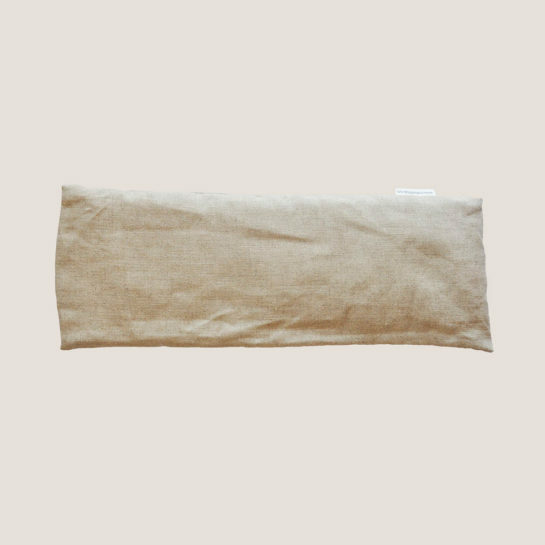 You can also purchase an external pillow cover made of 100% organic cotton in several different colours (GOTS and OEKO Tex standard 100 certified). Both covers are washable. The buckwheat hulls used for the filling are the highest quality, retaining their original pyramidal structure which helps air to flow freely throughout the pillow. The air flow helps your skin to breathe while you’re sleeping and reduces perspiration. 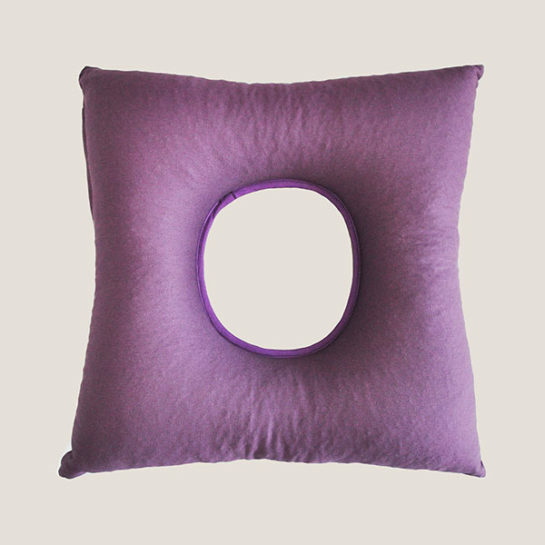 The pillow is carefully profiled for both comfort and health while you sleep. 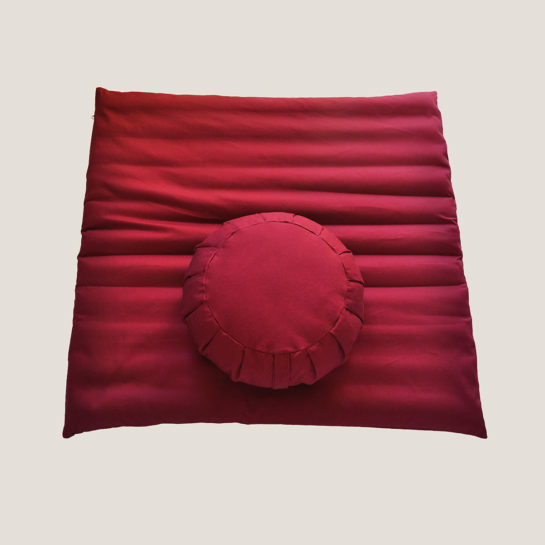 The contoured shape of the pillow fits the anatomical structure of the head and neck. Special channels inside the pillow help to maintain the pillow’s shape throughout the night. 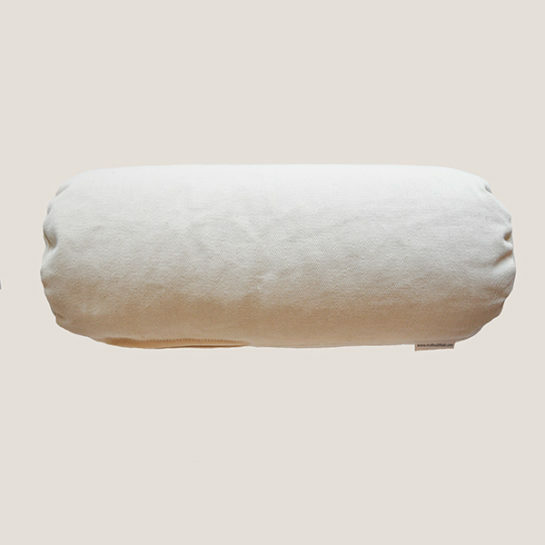 The pillow is firm, but thanks to the natural hulls inside, the shape adjusts slightly to the orientation of your head while you’re sleeping because the buckwheat hull filling can move freely inside the pillow. 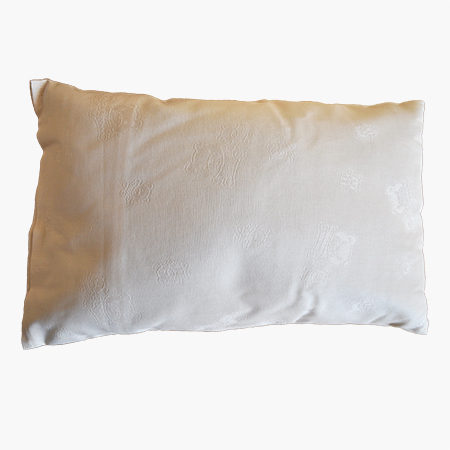 Air flow is enhanced by the high quality 100% cotton pillow cover. The shape of the cushion, cotton covers, and high quality buckwheat hull fill, can greatly improve the comfort and quality of your sleep so you’ll wake up feeling fully refreshed. The better you sleep, the stronger your immune system becomes, and the easier it is to concentrate and relax during the day. 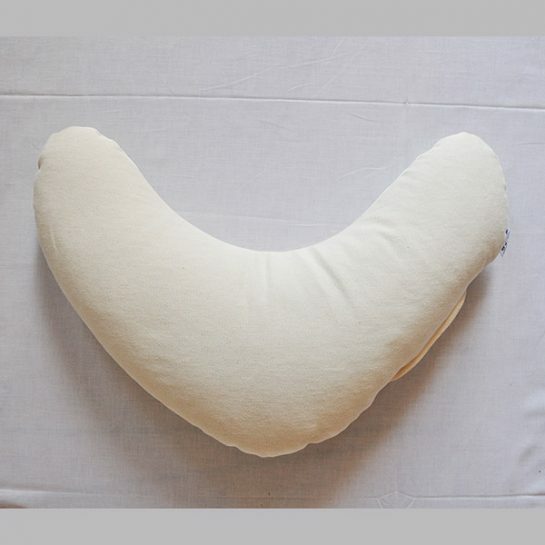 Buy the healthy, exclusive, organic buckwheat hulls cervical neck pillow now, and enjoy the benefits! 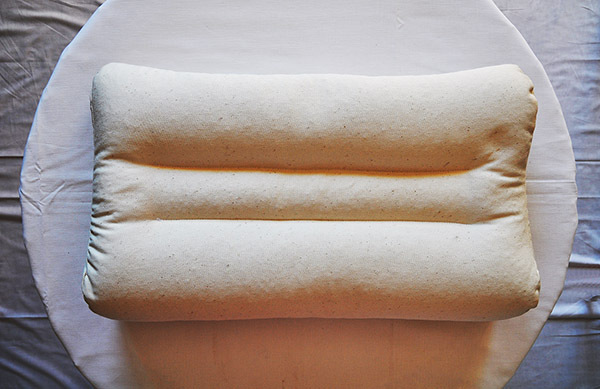 The organic orthopedic cervical neck pillow is specifically designed to help the neck, whether you sleep on your back or you are a side sleeper. It should be placed under your neck. It will fill the void, and relax your muscles and spine. 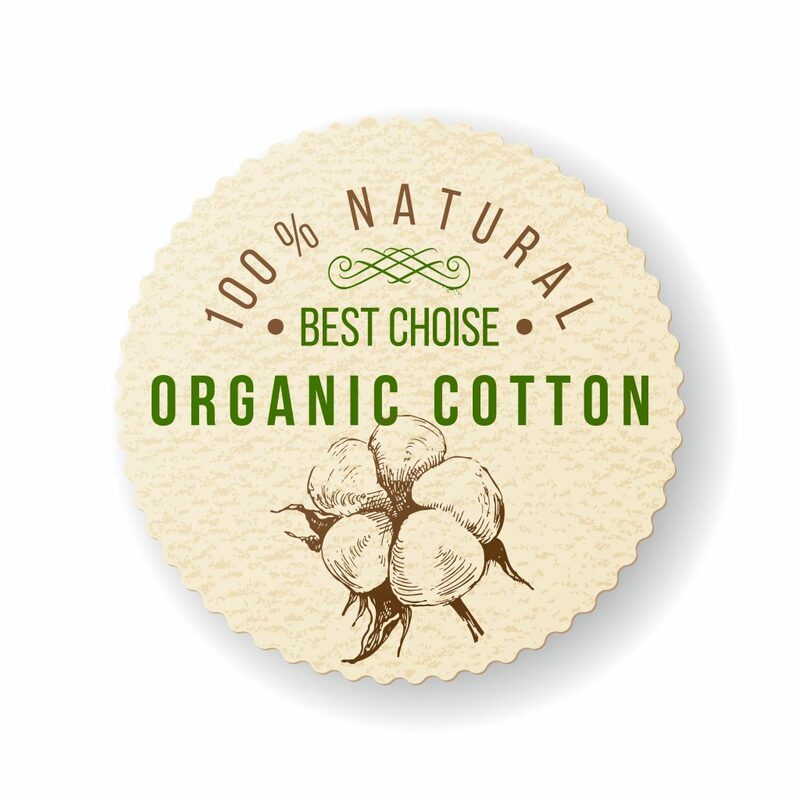 Our products, when created out of organic cotton, are chemicals safe. We use only the highest quality fabrics, purchased from a well respected and trusted organic fabrics store in Germany, Europe. The organic cotton we use is soft yet strong and durable. GOTS (Global Organic Textile Standard) is the globally recognized certificate, saying that the fabrics are free from harmful chemicals, ensure the organic composition of the fabrics from the stage of planting, harvesting, manufacturing and labelling. To fill our products, we use certified organic buckwheat hulls, grown and produced in a rural area of Poland. We purchase the hulls and then store them, until they are ready to be used as a buckwheat filling. 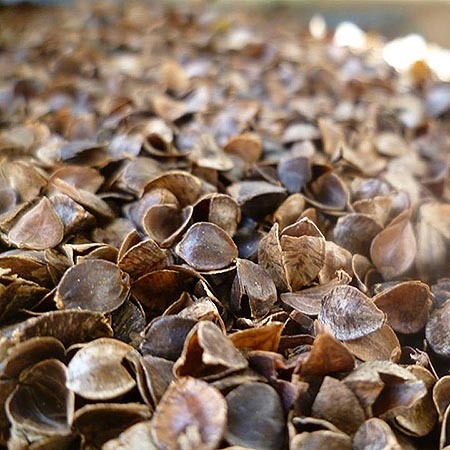 Our hulls are fresh, and healthy, have a very delicate natural scent. Our cervical neck pillows are handmade in Poland, first by a highly qualified seamstres and then filled with certified organic buckwheat hulls, by hand, at our warehouse, and then shipped to you. 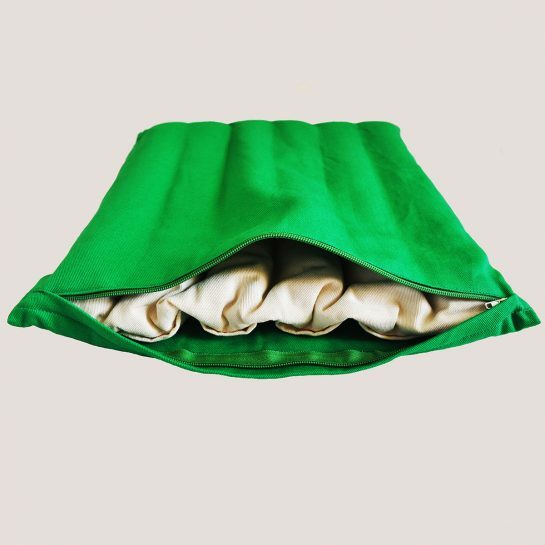 Our handmade organic pillows and organic mattresses, are made of the certified organic fabrics, hulls, and are loved by our clients for their beauty and quality. 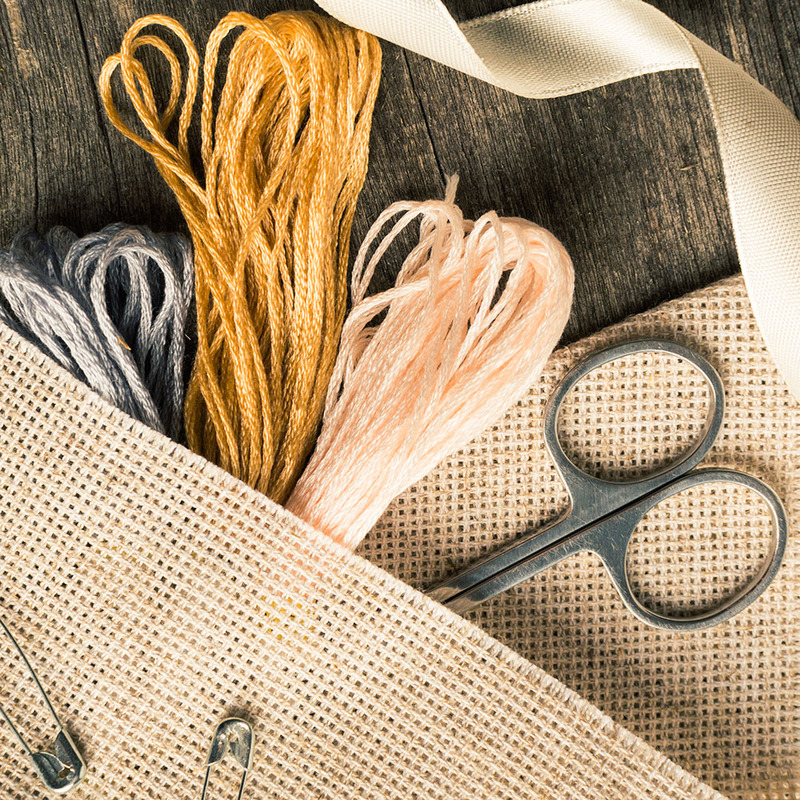 It is an honour to us, to be able to create and deliver to you the truly beautiful products, made with love and care. I was delighted to receive my Organic Buckwheat Hull Neck Pillow which arrived promptly. I have been using the pillow for several weeks now and my neck feels so much better. 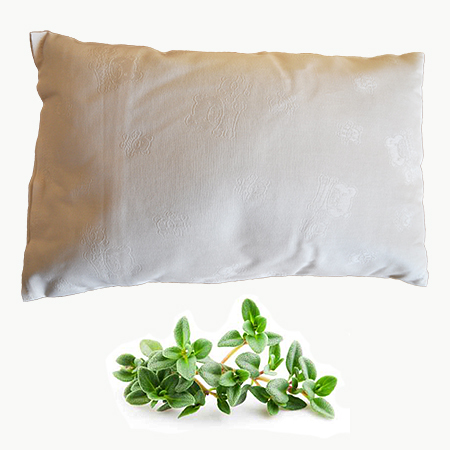 The main strength of this quality buckwheat pillow is its support and adjustability. Heat retention is also often minimal. 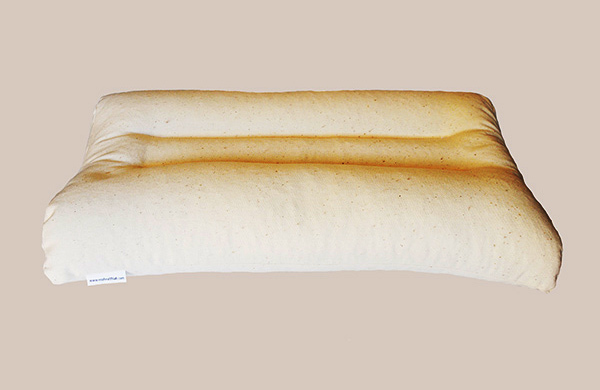 I highly recommend buying this pillow from Eco Health Lab. You will receive excellent customer service and have a good nights sleep. I love this pillow (especially its hard but very comfortable “feel”), of note I have not slept on pillow for the last 45 years because I was not able to fall asleep on a pillow. I recently found out about an old C5 compression fracture???? and was recommended to begin to sleep on a cervical pillow. Happy I FOUND THIS GREAT POLISH COMPANY! Love this pillow. It is very firm but it’s excellent support. Fabrics are great. Shipping was fast – UPS four days to the United States. I bought it along with a mattress and I am set with these products. I received the pillow last night after a long uncomfortable trip and knew from the moment I felt it that it would be perfect. When I finally got to bed after an even longer night I set my head onto it and knew I had found my forever pillow. It’s in a word, magical. It supported me while allowing my head and neck to remain in a line and didn’t surround me with extraneous material like most pillows – which makes me hot. I finally feel like my neck and head – and even face – have healthy support. My neck feel extended and supported as opposed to crunched. My face feels the same. The pillow also exudes finery in material and craftsmanship and natural elements – and I am sensitive to any and all chemicals and detected none. It’s beautiful, as is your company. After years of searching I am THRILLED.